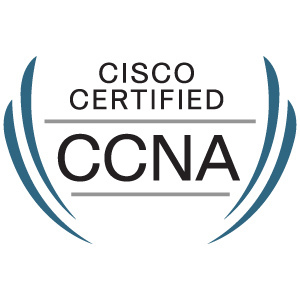 Well what with my recent success in exams, I decided its about time i sat my CCNA. I was working with Cisco routers and switches for about two years in the last place and it really would be a waste of knowledge not to sit this exam before I forget it all. Man I didn’t realise how much i had forgotten until i managed to get my hands on a copy of packet tracer! Packet tracer is like a work bench where you can setup virtual servers, clients, printers switches routers… even wireless routers and test connectivity between the devices. The icing on the cake no less, is that you have an individual IOS and and terminal session on each device mimicking near exactly the actual routers connectivity. On a side note, who ever invented sub-netting, bit pinching and network address shortening… I’d kick you in the face for making me do maths. This entry was posted in Personal and tagged CCNA, Cisco, Exams, Study on April 24, 2008 by andyjmorgan. I figured now that I’m sitting exams is as good a time as any to start on other qualifications, I’ve been meaning over the last few years to get the qualifications that are relevant to what I’m doing at the moment. This entry was posted in Personal and tagged Citrix, Exams on March 31, 2008 by andyjmorgan. Well, seeing as microsoft is putting an end to the upgrade path to server 2003 from 2000 in MCSA i figured it was time for me to sit down and hit the ole books. I trawled around for a while and found the cbt nuggets for the exam and i must say even after 5 years supporting server 2003 even i learned something from this guy! This entry was posted in Personal and tagged Exams, MCSA on March 22, 2008 by andyjmorgan. As a customer certified on Microsoft® Windows ServerTM 2000, we are writing to inform you that the exams supporting your upgrade path to Windows Server 2003 will retire on March 31, 2008. Money grubbing gits, back to the exams for me so! This entry was posted in Personal and tagged Exams, MCSA, Microsoft on January 11, 2008 by andyjmorgan.